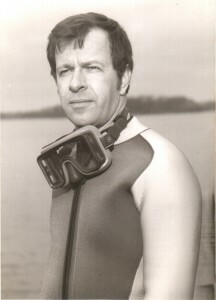 “Diver” Dan Mandziuk was first certified through NAUI and ACUC in 1971, while he was pursuing his Masters Degree in Bio-Physics at Brock University. By chance he was invited to join the Brock Scuba Club, and his life was forever changed…Learning to breathe underwa ter opened up a new and exciting world for him never before imagined! Leaving Brock, and supported by his wife Karen, he went out on a limb and started Dan’s Dive Shop Inc. in 1974. Since then he has touched the lives of thousands of people while serving the Niagara Region and beyond. 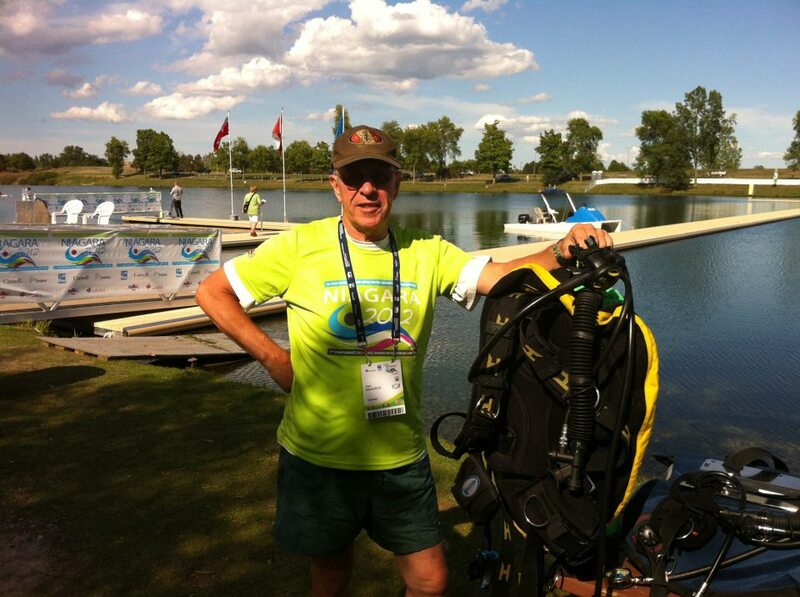 Dan is a Bachelor of Science Graduate from University of Waterloo, and he has spent over 40 years offering the safest and most informative dive courses in the business. Dan’s certifications are many. Over the years Dan’s held or currently holds ratings including: PADI Master Instructor, PADI STAFF Instructor, ACUC Instructor, ASA (Adapted Scuba Association Instructor for people with disabilities), and TDI Nitrox Instructor. He is a certified IANTD Gas Blender, CPROX CPR and Oxygen Administrator and PADI Emergency First Responder Instructor. Dan is an Authorized Repair Technician for virtually every brand of equipment out there including double hose regulators and vintage scuba equipment. He is a fountain of knowledge when it comes to repairing equipment and is known for being one of the best regulator technicians in the business, especially when it comes to working on Poseidon Regulators and many of the older brands no longer on the market. Dan is a history buff when it comes to vintage scuba diving equipment, and has an extensive collection of double hose regulators, helmets, capilary depth gauges and a mountain of other types of vintage dive gear that he’s been collecting. Very few divers have seen 1/10th of the equipment over the last 40+ years that Dan has had the chance to dive, service and sell, making him the most knowledgeable source of information in the diving industry today. How many people do you know who dove in a Shark Skin™ Wetsuit? They say you can’t teach and old dog new tricks, but even after diving for over 4 decades, Dan is still learning and taking training to stay current with trends in the industry, including utilizing the most modern skills and equipment configurations available. 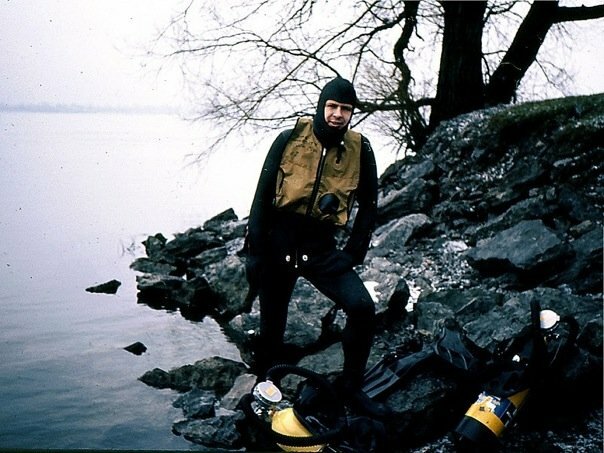 Dan enjoys all diving environments and is a bit of a scavenger who enjoys u/w metal detecting, u/w photography, local wreck diving, warm water vacations and the great drift diving that our local Niagara Region offers. He’s been everywhere from Canada, Central America, throughout the Caribbean to further abroad destinations like Egypt and Fiji, and loves each place for it’s unique offerings. 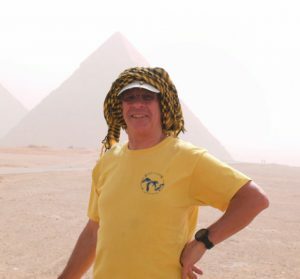 Dan has recently sold the business to his kids, Matt and Kristen, and is opting for semi-retirement to travel more, dive more and enjoy the nearly 40 years he’s put into the dive business and local community. He can still be found on occasion tinkering around the store, and sharing his love of the sport with staff and customers. He is, however, getting a taste for retirement, and we all wish Dan luck in his future endeavors – he’s earned it! A: Personal: Dive MORE recreationally and check out some of the ‘secret’ spots I’ve been shared information about; Professional: Matt’s Intro to Tech course. A: I absolutely NEED my prescription mask! It even has bi-focals so I can read where I am and where I’m going.